I like the oil-stock recommendations in the High Yield Wealth portfolio. I like them even more than when they were first recommended. I like them so much I’ve been adding a few recommendations to my personal portfolio to pick up yield and to lower my cost basis. But isn’t it risky to add to positions in this low-price environment? After all, oil prices have been cut in half in the past four months. They could go lower. Yes, they could go lower, so there is risk. There is always risk. That said, the risk was much higher when oil was priced at $100/barrel. Because you didn’t recognize it doesn’t mean it was nonexistent. I’d much rather buy oil investments when oil is priced below $50/barrel than when it is priced above $100/barrel. Sure, it feels better to buy above $100, but it’s more profitable in the long run to buy below $50. I prefer to buy low and sell high than to buy high and possibly sell higher. In short, I doubt that oil at $50/barrel will stick around as long as the pundits think. I proffer my prediction to a degree on the growing cacophony for an increase in the gasoline tax. In the past 24 hours, I’ve stumbled upon (without trying) pro-tax screeds in the Washington Post, Denver Post, The Economist, and The New York Times. The theses of these screeds are hardly original – tax to fix roads or to reduce consumption (and thus emissions). These theses are constructed on the premise that $2/gallon gasoline is here to stay. It isn’t. Think back to 2010 when $4/gallon gasoline was the permanent reality. Opinion sections of major newspapers were populated with harangues to trade in your Ford Expedition for a Smart car. How did that work out? Rarely are the trend-following op-ed scribblers familiar with laws of supply and demand. Therefore, they frequently take to their keyboards to promote their agenda at just the wrong time. They call bottoms with entreaties to tax; they call tops with entreaties to conserve. I tend to value opinions from those with feet-on-the ground experience and plausible knowledge of economics: John Hofmeister, for instance. Hofmeister is the former president of Shell Oil (NYSE: RDS.a). 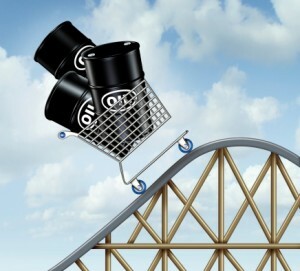 He believes the next round of higher oil prices will occur much sooner than most everyone expects, with oil prices pushing close to $100/barrel by the end of the year. In a USA Today interview, Hofmeister said, “The triggering mechanism will be global demand growth relative to how much capital constraint gets baked into future plans for production this year and next.” Former peer Ryan Lance, CEO of ConocoPhillips (NYSE: COP), shares Hofmeister’s sentiment. These two oil executives based their predictions on basic economics. Low prices increase demand and restrict supply. Demand will very likely increase on falling prices. Concurrently, OPEC is already forecasting reduced oil production in the United States. Oilfield service providers Baker Hughes (NYSE: BHI), Halliburton (NYSE: HAL), and Schlumberger (NYSE: SLB) have all announced significant layoffs due lower output. When growing demand (or even stagnating demand) is coupled with reduced supply, an oil recovery could occur. When oil prices rise, so will oil-sector stocks. I expect this dynamic to unfold sooner than most, because so few expect it. That’s why I think it’s best to consider accumulating oil stocks sooner than later, and that’s what I’m doing. When the Saudis announced they would not cut production to bolster oil prices, the intent was obvious. The move was meant to drive down crude prices, and punish the U.S. oil industry. The US had already over taken both Saudi Arabia and Russia in crude production – and the Arabs thought they could stop it with this move. WRONG! And we’ve found a great way for the average guy to cash in. Click here for all the details.